P.E.T. 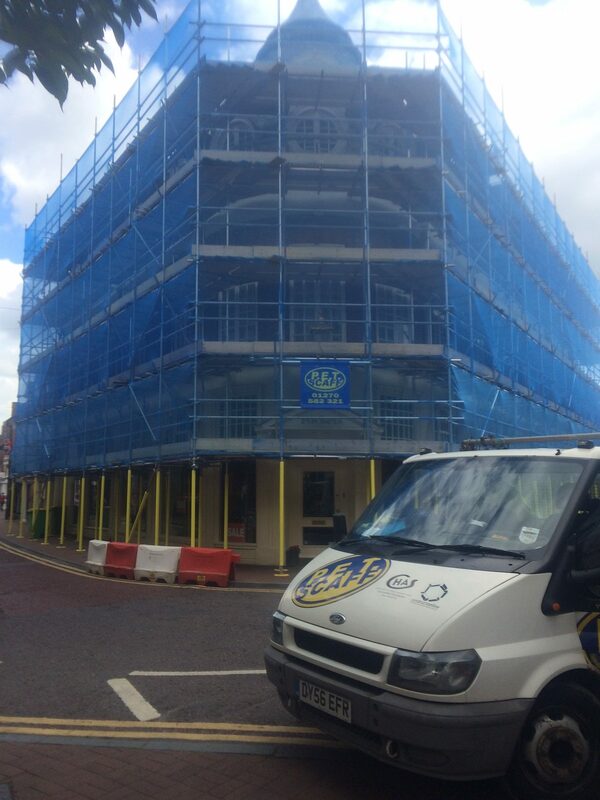 Established in 1974 is one of the largest independent scaffolding and hire companies in the Nort West. With a 40 plus workforce we speciallise in all types of Building & Construction scaffold, from general public extensions, Housing Association Remedial Roofing Programs to Multi Private Sector New Build Construction Sites. We cover Cheshire and the cities of Stoke on Trent, Chester, Manchester and Liverpool, but are willing to travel further if required. P.E.T. Hire achieved Best Independent Hirer in the U.K. at the Executive Hire awards in Coventry in 2016. In Industry we provide access solutions to :- Car – Pharmaceutical – Engineering & Food Based companies. Our customers include :- Taylor Wimpey – Bentley Motor Cars – Henkel Chemicals – Mornflake Oats – AMCOL Mineral & Chemicals – Bellway Homes – Oakes Millers – Advanced Medical Solutions & both Guinness and Dane Housing Associations. The mission of P.E.T. Scaffolding Ltd is to provide a top-quality scaffolding service to the construction industry. The company will ensure that its services are carried out with due consideration to the health and safety of its employees, other trades and members of the public. The company will seek to provide its services with an ongoing comprehensive quality control program to provide customer satisfaction. Each contract will be viewed as an agreement between partners who wish to create a close and mutually beneficial long term relationship based upon trust and mutual understanding, with the intent of providing long term added value to both parties. Success will be measured by our clients choosing us because of their belief in our ability to meet or exceed their expectations of safety, price, service and experience.